In HR, working purely on instinct is dangerous. HR Professionals are highly skilled, and their experienced opinion is extremely valuable when it comes to selecting candidates, assessing performance, and all the other important aspects of this function. But can you rely on their instinct alone? This was the big question that our client, a large CPG company was facing. When we realized this was the problem, the solution was obvious. Not necessarily easy, but obvious. 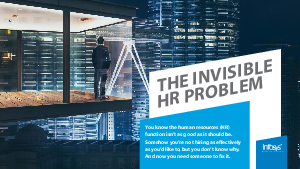 There was plenty of data, but it wasn't being used to improve HR decision making. We designed an analytics solution that would improve HR Decision making. We designed an analytics solution that would improve the efficiency of data gathering, to make the HR function more effective. We then proposed an additional layer, which would use artificial intelligence (AI) to improve HR Decision-making further.